If you're after something a bit different for a business card it's hard to go wrong with wood as a material. It's easily laser cut and engraved and gives great results whilst also being a relatively cost effective way to get a set of business cards that stand out from the usual, barely noticed standard fare. 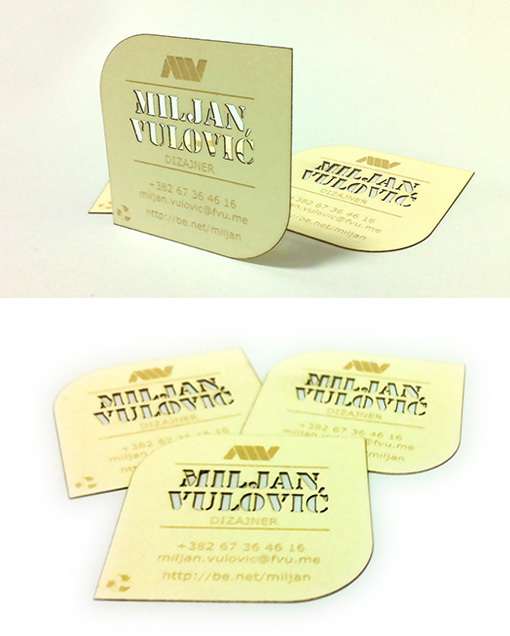 Miljan Vulovic produced this set for himself and they do a good job of showing his abilities as a graphic designer including his willingness to think outside the box in using non-traditional materials.